• Reviving USD demand prompts some fresh selling on Friday. • Bulls seemed little impressed with the UK GDP growth figures. • US macro data/Carney & Powell’s speech eyed for fresh impetus. 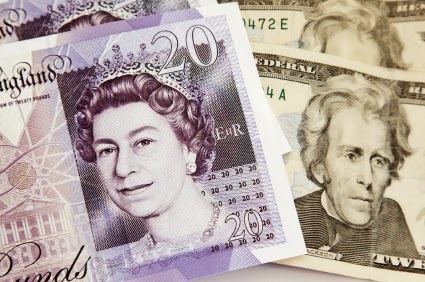 The GBP/USD pair maintained its offered tone and has now dropped to fresh session lows, around the 1.3330-40 region. After yesterday's modest recovery attempt, supported by upbeat UK retail sales data, the pair came under some renewed selling pressure on Friday and resumed with well-established bearish trajectory. The pair extended its overnight retracement slide from levels beyond the 1.3400 handle and was now weighed down by reviving US Dollardemand, despite a sudden fall in the US Treasury bond yields. The GBP bulls also seemed little impressed by the second estimate of the UK GDP growth figures, which matched the preliminary reading and confirmed a tepid growth of 0.1% q/q during the first quarter of 2018. With today's slide, the pair has now reversed all of its modest recovery gains recorded yesterday as traders now look forward to the release of US durable goods orders data for some fresh impetus. This coupled with scheduled speeches by the BoE Governor Mark Carney and the Fed Chair Jerome Powell might also influence the price action and produce some meaningful trading opportunities on the last trading day of the week. Any subsequent recovery might continue to find some support near the 1.3300 handle, which if broken now seems to pave the way for an extension of the pair's depreciating move. On the flip side, the 1.3375-80 region, closely followed by the 1.3400 handle now seems to act as immediate resistance, above which the recovery move could get extended towards 1.3450-55 area.